Fate dealt you an Xmas cardigan… and it is ugh-lee. Sam Wineman rocks his “Christmas Sweater“… he says. But his lugubrious folk rock seems to say something else (echh). Surrendering to the crushing traditions, Party at the Moontower polka rocks out “I Need an Ugly Sweater.” Party requirements, folks! That “Ugly Christmas Sweater Party” is their reason for Phil and The Osophers to gather. It defies pop folk music rhyme! Generation Empowered has an “Ugly Christmas Sweater” dance for you, while peddling their by-the-numbers pop electronica and hating what gramma made by hand. Ingrates. I guess it’s the contrast, babe. Patrick Thomas gets country clever by praising her beauty in her “Ugly Christmas Sweater.” Her blinking lights are up here. Actual country music is much like folk music, hard living, hard loving, hard hardness. But more violins. The Corn Fed Girls focus on that detail (those “Christmas Cards”) posted on your wall, which stands for something sad (and angry), so shove off. (But with a sweet mandolin sendoff.) And that’s country. Let’s be honest. What’s the Christmas tree but a delivery system for gifts? Don’t get your hopes up. The generic “Treats Under the Christmas Tree” are an excuse for The Mallon Tones to idealize their childhood. For rockabilly punk that’s progress. Gringos Fate sing about “Christmas,” but it’s mostly about what will get put under that dressed up tree. Monstrously good below the border ‘billy. Hyper jazz from Simon Strauß (Pachelbel influenced) excited for the presents and decorations and everything underneath our “Christmas Tree.” Children’s hope for world peace though really. Comedy intermission: Joel Kopischke (i’ve already said) goes “Under the Tree” to the tune of ‘Under the Sea.’ He has the presents of mine to go full lounge lizard. Hah! Sink or Swim want something good, better, worthwhile. They lightly metal their message to their “Christmas Tree” to get a decent present. Fun times, guys. Too Much Joy act out an entire romcom with invasion rock styling for “Ruby Left a Present Underneath the Christmas Tree.” Might be a book… doesn’t matter. It’s from her. Dave Rave & Rick Andrew rockabilly the quandry of what to put “Underneath My Baby’s Christmas Tree.” It’s a fun figuring, and suggestive of muchas smooches to boot. 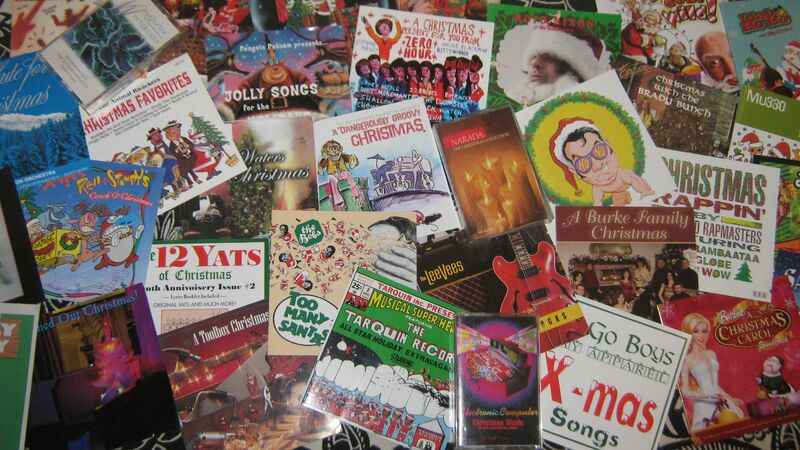 Rockabilly for “Rockabilly Christmas Tree” from Al Hendrix and Jimmy Accardi. He gets it all: pomade, blue suede shoes, a Cadillac…. man oh man. Poor folk don’t get much under the “Christmas Tree.” If they’re good they tremble in song about how they should give away what paltry bit they do get to another sufferer–even a piece of pie! Gospel folk from Significant Others makes this sacrifice a family legend. Most of the romance around the Christmas tree has been noted elsewhere, but Chris Zindie ‘s chanty odd folk “All I Want Under the Christmas Tree” describes a gift that’s big and heavy (it’s you). I wanted the poor guy to escape the notice of the romantic police, ’cause he’s in trouble for his fun little song. Funnyman Rodney Carrington tries on big band swing for “The Presents Under the Tree (Better be for Me).” He does care what he gets, and he’s a bit judgy. TreeMendous Holiday Fun: Whatcha Waitin’ Fir? Marty Merchant chortles out a kids’ song country pop weeper, “Lonely Christmas Tree.” Desperate, needy, dying little thing. Parry Gripp goes imaginatively, juvenilely delusional with “Christmas Tree in the Lot.” Some kid sleeps with one eye on the window watching the tree for sale across the street. Is that tree lonely, just like him? No, it’s dead, but in a cool folk-song way. The original was delivered on John Denver’s 1974 album Back Home Again… the live version on his 1975 album An Evening with John Denver–released as a single and went to No. 1 on both the Billboard magazine Hot Country Singles and Billboard Hot 100 charts… topped both charts for one week each, first the country chart (on May 31), and the Hot 100 chart a week later… one of six songs released in 1975 that topped both the Billboard Hot 100 and Billboard Hot Country Singles charts. Now that we’ve treated the musicians who have treated us, take a cue from that last magnificent number and honor the images from our TVs and screens: the real stars of the American scene: actors. Marion Mitchell Morrison was an instant movie star after nearly ten years of work. He headlined westerns through the ’40s, ’50s, and ’60s, eventually falling into an old man icon in TV skits in time for the counter culture to reject him as The Man. In retrospect he stands tall in the saddle, a American hero who’d rather explain it to you with his fists than his mumbling. 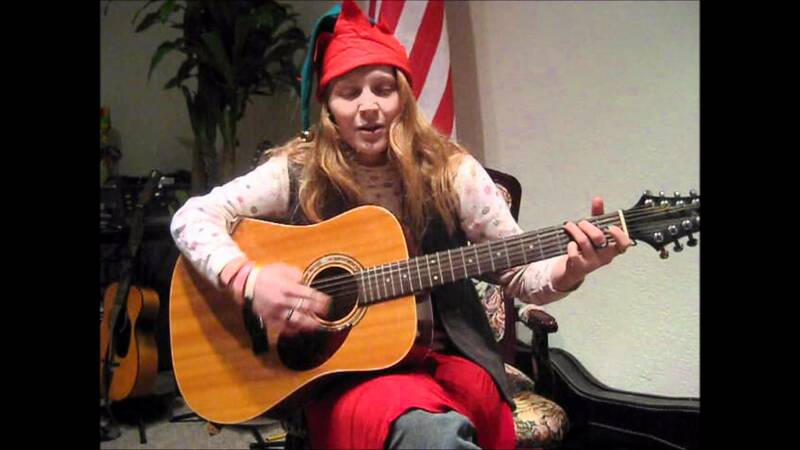 Rebecca Perschbacher sings “I Want John Wayne for Christmas” as a true fan.